I’m pleased to let you know that my Sydney clinic is now open for business. My home in a quiet Camperdown street, began life as the corner store almost 120 years ago, serving locals the small necessities of life for many generations. I’m proud to open the shop door to the community once again. This time dispensing herbal medicine and practical health advice. After 23 years running a busy multi-disciplinary clinic in Melbourne, I followed my heart to Sydney and fell in love with the Inner West. 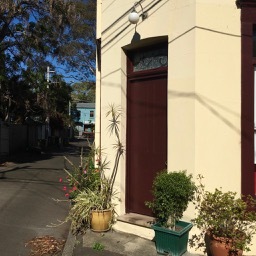 This little pocket of Camperdown borders Newtown, Stanmore and Enmore – a friendly oasis in a dynamic neighbourhood. 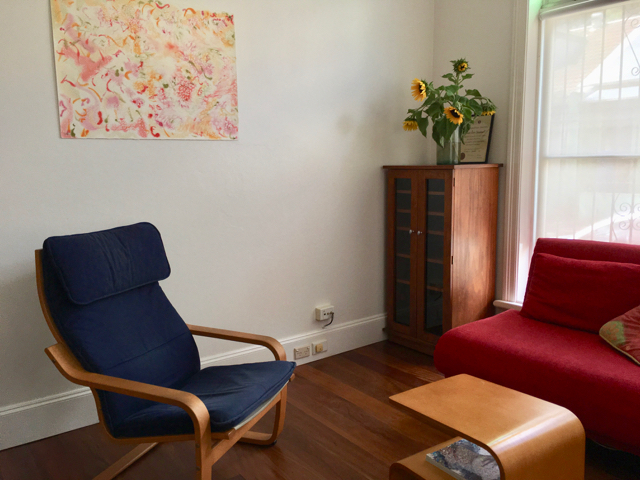 While settling into my new life in Sydney, I’ve spent the last couple of years continuing to support naturopathic and mentoring clients online. It’s a privilege to work with people near and far, from Castlemaine to Caracas. But having worked with herbs for over 25 years, I recently began to miss them. In the new clinic, I have a small herbal dispensary for individualised prescribing. There’s also something special about being able to share my naturopathic experience with clients in person, over a cuppa. Consultations are by appointment only and can be booked online at any time. If this is our first consultation together, please book a “naturopathy initial session/Wellbeing Plan”. Once your appointment is confirmed, you’ll have to option to choose an in-person consultation at the Probert St clinic, or by Skype if you’re unable to travel. The Probert St clinic is a 10 minute walk from Newtown and Stanmore stations. It’s also served by multiple bus routes. Google Maps is a handy tool for planning your visit. There’s free on-street parking, subject to availability. If driving, please give yourself a few extra minutes to find a park. My work is primarily with adults, in a “general practice” style clinic. I blend traditional naturopathy, with an evidence-based approach to health. Over the years I’ve seen most health problems in clinical practice from simple or acute conditions, through to complex health and lifestyle issues. I enjoy clinical challenges and “medical detective” work. I’ve also had the pleasure of being the “family naturopath” and working with multiple generations. One of the joys of spending more than 25 years doing a job I love, is seeing babies born, navigate childhood and grow into amazing adults. Please be aware, I only consult with babies and children in person (no distance consultation). As their history is less complex, a shorter, discounted consultation is often possible, so please email me before booking a consultation for your child. I look forward to working with you. If you have any more questions, please get in touch. Private health insurance: As of 1 April 2019, the Australian government removed private health insurance rebates for naturopathy and herbal medicine. A new review is currently under way and we hope this decision will be reversed in 2020.